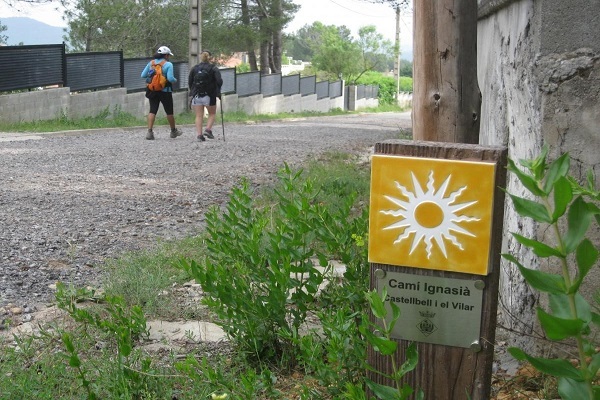 The Camino Ignaciano is one of the famous pilgrimage route in the north eastern part of Spain starting from Loyola. The way is connected with a thousand year old tradition. When San Ignacio decided to change his life after his ponderous injury in 1521, he became a pilgrim and created the Camino Ignaciano. Originally his plan was to go to Jerusalem from Loyola. However, he only reached Catalonia, the modern way is also going from the Sanctuary the Loyola to de Santa Maria the Montserrat Abbey. San Ignacio a founder of the Society of Jesus (Jesuits) was born in 1491 in Loyola and was at the service of the Catholic Monarchs. A fracture of a leg due to a war wound caused him painful surgeries that left him convalescing. In that time, he dedicated himself to read the life of Christ and the saints. This made him to make the decision to do his own crusade, go to Jerusalem as a pilgrim. After Ignatius has recovered from his long lasting rehabilitation in 1522 he started his pilgrimage to the direction of Jerusalem. He was heading south toward Montserrat and after his plan was to head to ports where he could take a ship to sail to the Holy Land. Against other pilgrims on these roads he was travelling the opposite direction, heading along the famous Camino Santiago toward the town of Santiago de Compostela, where according to Christian tradition, the relics of St. James the apostle are reverenced. The Ignatian Way recreates the itinerary that Ignacio de Loyola walk in the year of 1522. He started his pilgrimage from his hometown, from Azpeita (Basque country) and his original destination was Jerusalem. During his way he was crossing several autonomous communities in the north eastern part of Spain starting with his motherland, the Basque country. 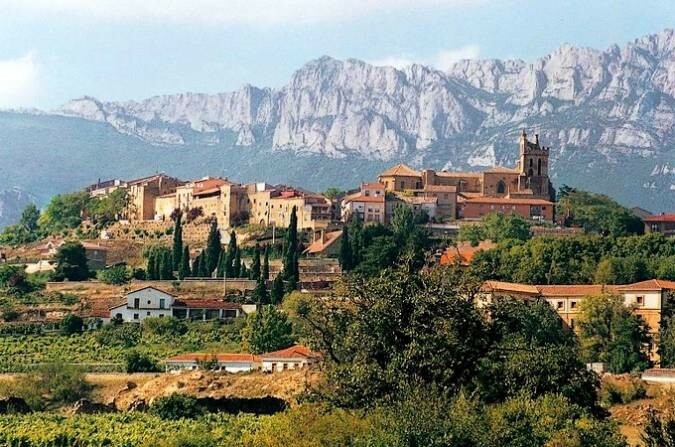 This community of Spain is a small land but with a great identity and more than 5,000 years of history. The Basque Country has a unique culture and a unique language in the world. In the municipality of Azpeitia visitors can find the birthplace of San Ignacio, which is a museum nowadays where visitors can find much about his life. 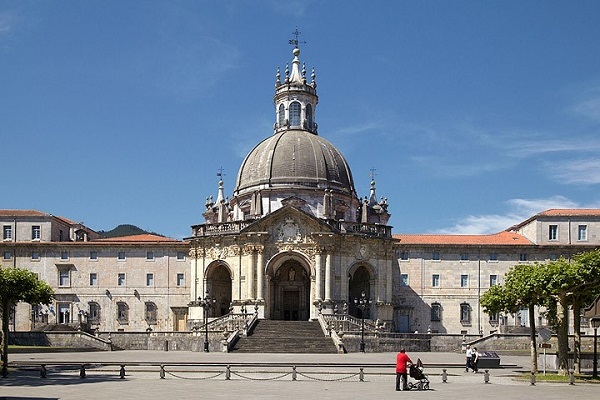 As well the highlight of the tour the famous Sanctuary of Loyola can be found in the first stage of the pilgrimage. 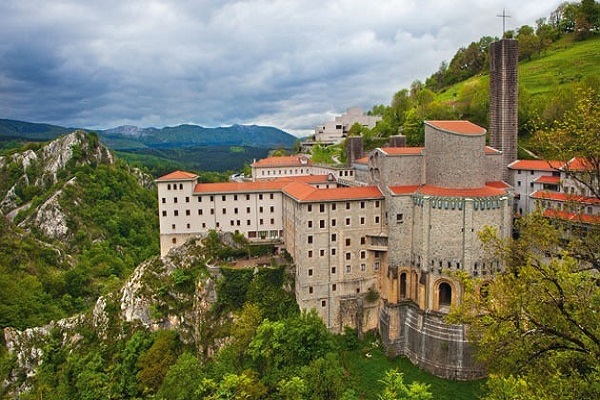 Also in this county can be found the Sanctuary of Arantzazu which is one of the largest Barque style basilica in the region. The last city in the Basque country is Laguardia, as well this is the city which is introducing us the next community where San Ignacio continued his route, La Rioja, the land which is famous of its gastronomy and wine culture. You can find amazing villages from middle ages or the most avant-garde buildings. The most important monument in the region is the Monasteries of San Millán de la Cogolla, which is UNESCO World Heritage Sites since 1997. Navarra is famous of its steep mountains and the Ebro River surrounded with gorgeous plains. This community has some of the most beautiful places in the Iberian Peninsula. 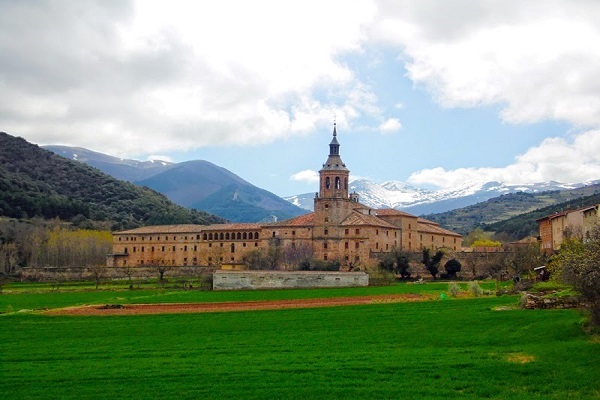 In the Ignatian tradition, Navarra also holds special importance as the family home of San Francisco Javier; Ignacio of Loyola's companion who was too a great pilgrim. 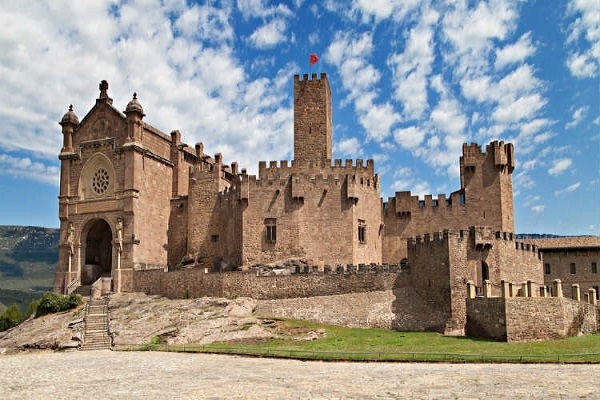 The story says that Ignacio of Loyola defended the city of Pamplona in 1521, but fell wounded before the invading French army and its Navarran allies. During that time, Ignacio served as a proud and loyal fighter for the Emperor Carlos, and years later transformed that passionate character into following his Christian faith. Aragón, the home of Spain’s largest river the Ebro was the next destination of San Ignacio. This land has a great history and traces of ancient cultures can be discovered. The most important ones are the traces of the Islam culture with its mudéjar architecture which is declared World Heritage by the UNESCO. 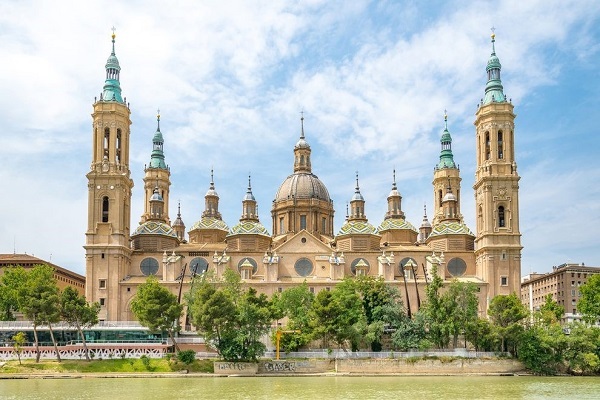 The capital of the community is Zaragoza where pilgrims will find the The Virgen del Pilar Basilica. This church has built in baroque – neo mudéjar style and one of the greatest basilica across Spain. As well it is reputed to be the first church dedicated to Mary in history. The fifth also the last community where San Ignacio was walking through is Catalonia. Before he reached his destination he also visited Catalonia’s most famous sanctuary, the Monastery of Montserrat which is an imposing rocky outcrop, the holy mountain of Catalonia, which houses the revered image of the black virgin. After the visit the young Ignacio finally finished his way in Manresa where he spent one year, often living in primitive natural caves along the riverside. 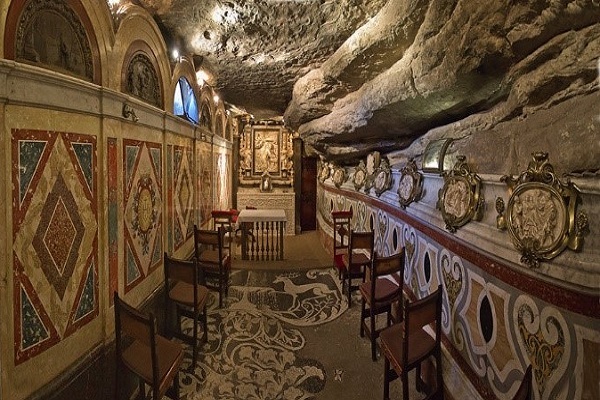 Today this cave is the most famous chapel in Manresa also known as La Cueva. During this year he wrote his book, the Spiritual exercises in which he writes about the many insights he gleaned about spirituality in Manresa and during his pilgrimage. Currently, the modern route that has been drawn from the annotations Personal of the Saint, also begins in the house where Ignacio was born and where he was recovering from his injuries received in battle in Loyola and leads us to what is known as "Cova de Sant Ignasi ", in Manresa where he spent his year after his pilgrimage (near the Monastery of Montserrat, in Catalonia). It is long and demanding journey and the way goes for 600 kilometres, crosses the autonomous communities of Basque country, La Rioja, Navarra, Aragon and Catalonia and has 27 stages in all. For Ignacio this pilgrimage was more about the spirituality, self-knowledge and to meet with God. 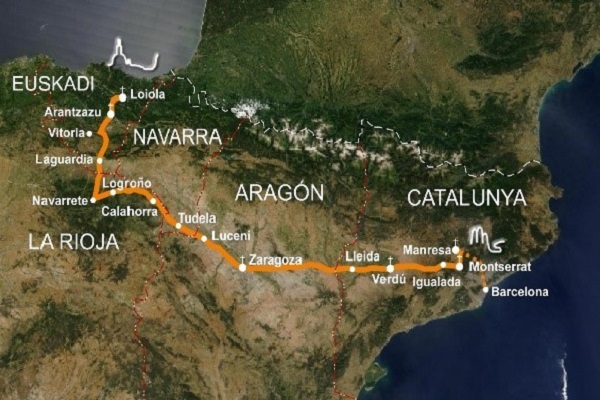 During the route, pilgrims will get to know and recreate Ignatius’s experience of travelling through Spain not only just be walking to a place. If you would like to experience the spirituality of the Ignatian way and learn more about his life and the journey contact us and check out our Faith Packages about the Ignatian way!